Blood pressure is the force of blood pushing against the walls of arteries. It is typically recorded as two numbers and written as a ratio that is read as “120 over 76 millimeters of mercury.” You can have high blood pressure (also known as hypertension) and still feel just fine because it often does not cause any signs of illness that you can feel or see. But, high blood pressure is a major health concern—it is sometimes called the “silent killer.” That is why it is strongly advised that you visit the doctor regularly to check if your blood pressure values are fine, especially if you are an older person. When the doctor measures your blood pressure values, the results are given in two numbers. The first number, called systolic blood pressure, is the pressure caused by your heart pushing out blood. The second number, called diastolic blood pressure, is the pressure when your heart fills with blood. A systolic blood pressure of less than 120 and a diastolic blood pressure of less than 80 is considered the safest range. This safe range is expressed as 120/80. Typically, the systolic blood pressure (top number) is given more attention because it is a major risk factor for cardiac and vascular disease, especially for people over 50 years. 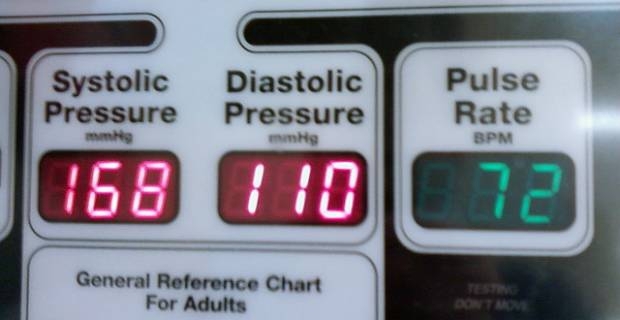 If the systolic value falls below 90, your doctor may conclude that you have low blood pressure. 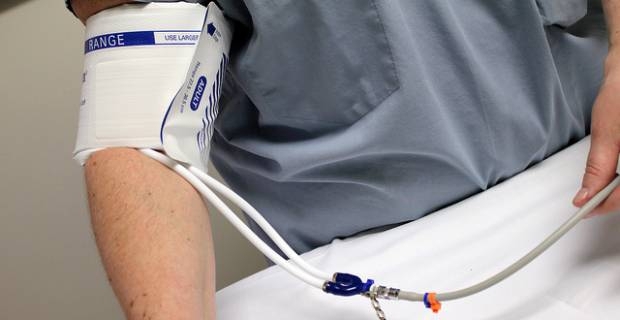 Some of the possible causes of low blood pressure may include dehydration, blood loss or too much medication. Pay particular attention if your pressure is less than 90 and is accompanied by feeling lightheaded, dizzy or faint. On the other hand, your doctor may say you have high blood pressure if your pressure values measure 140/90 or higher after two or more checkups. If your blood pressure remains high even when you are calm and relaxed, your doctor may suggest changes in your diet, exercise and or medications to bring your blood pressure down to the safe range. Exercise every day – moderate exercise has been shown to reduce risk of high blood pressure. Eat a healthy diet – Include a diet rich in fruits, vegetables, whole grains and low-fat dairy products. Also, cut down on your salt intake, which mostly comes from fast foods and processed foods. Get enough sleep each night - 6 to 7 hours of sleep each night is recommended. Don’t forget to watch your weight. Being overweight increases your risk of high blood pressure.